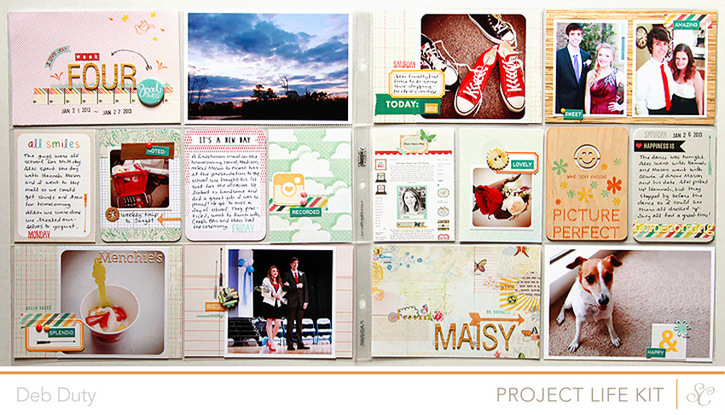 It's time for the reveal of Neverland, the March kits at Studio Calico! I made more with this kit than I've been able to in a while. There were no illnesses, no Christmas festivities to distract me, and no out of town trips so I was able to focus on my kits a bit more. 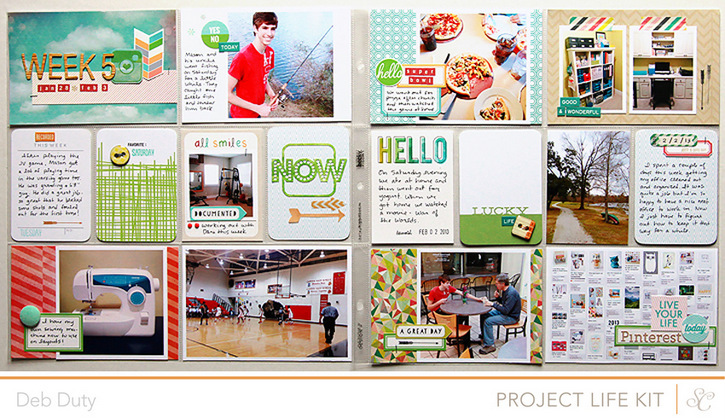 I made four Project Life spreads, four layouts and even a card! This month I got the main scrapbook kit, card kit, Project Life kit, and three add-ons - Tink (#1), Lost Boys (#2) and Hook (#4). The colors are so beautiful this month. I loved all of the blues and greens and the stamps are my favorite from any Studio Calico kit ever! 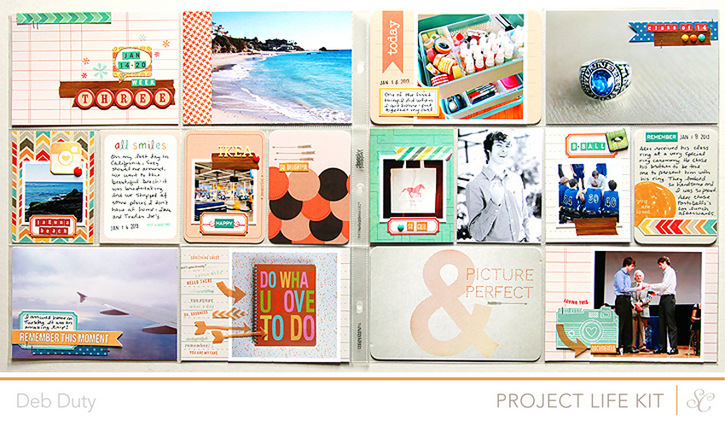 Oh and one more thing before I share my projects - there's a change at Studio Calico. The design team gallery will now go live at early reveal so even if you're not a subscriber you can see the design team projects at noon Eastern time on the 27th of the month (which is the same time subscribers can start shopping). Shopping for non-subscribers starts at midnight Eastern on the night of the 27th. 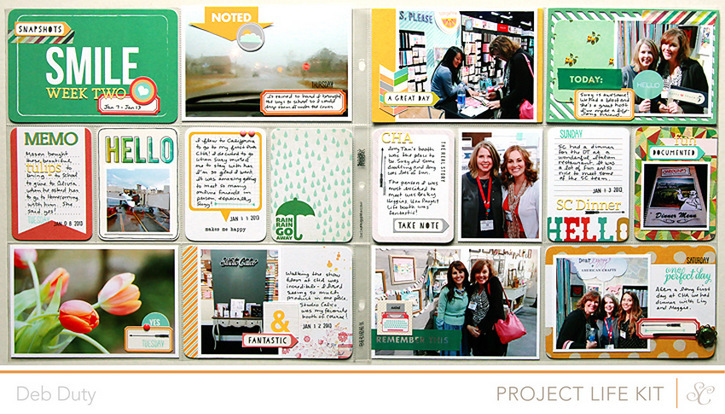 So here are the Project Life spreads I made with Neverland - clicking on the image will take you to that spread in the Studio Calico gallery where you will find detail photos and a list of kits/products used. I'll be sharing the regular layouts I made with Neverland soon! Your pages are all wonderful, Deb! I love all the color and how everything goes together so well!